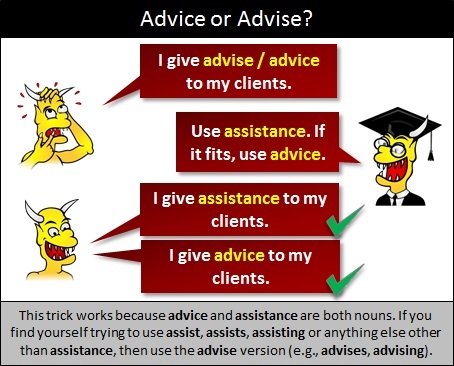 Infographic explaining when to use advice and advise. He who can take advice is often superior to him who can give it. Many receive advice, but only the wise profit from it. Are you trying to advise me? Are you trying to assist me? I do not need your advise. I do not need your assistance.